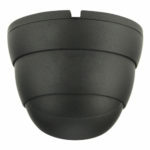 Dome Camera AHD/CVI/TVI/CVBS, 1/ 2.8" 2.1MP Sony CMOS sensor, 2.8-12mm manual zoom lens, Image Resolution: 1080P/960H, Effective Pixels: 1920*1080, Progressive Scan, Infrared Distance: 30M, Starvis Back-Illuminated, WDR, IR-CUT, 3DNR, Defog, Sense-up, UTC, OSD Menu, Power: 12V DC, Waterproof, Infrared metal, Dimension: 131 x 93(H) mm, Weight: 800g. 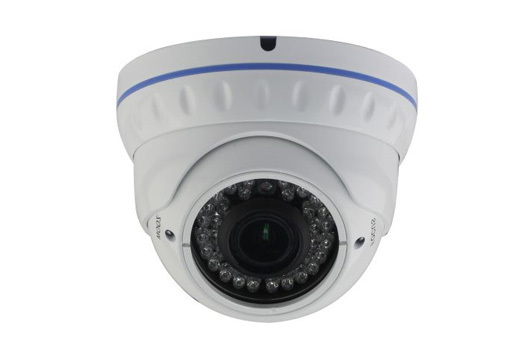 Dome Camera AHD/CVI/TVI/CVBS, 1/ 2.9" 2.4MP Sony CMOS sensor, 2.8-12mm Manual zoom lens, Image Resolution: 1080P/960H, Effective Pixels: 1920*1080, Progressive Scan, Infrared Distance: 30M, Low Illumination, WDR, IR-CUT, 3DNR, Defog, Sense-up, UTC, OSD Menu, Power: 12V DC, Waterproof, Infrared metal, Dimension: 131 x 93(H) mm, Weight: 800g. 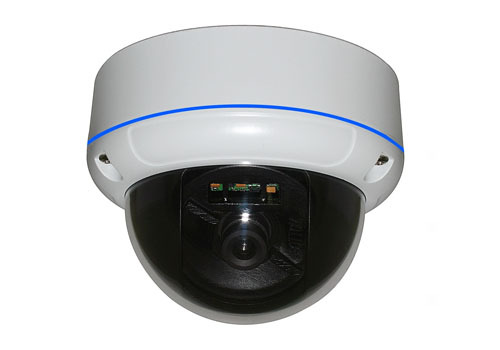 Dome Camera AHD/CVI/TVI/CVBS, 1/ 2.9" 2.4MP Sony CMOS sensor, Boards Lens 3.6mm/F2.0, Image Resolution: 1080P/960H, Effective Pixels: 1920*1080, Progressive Scan, Infrared Distance: 20M, Low Illumination, DWDR, IR-CUT, 3DNR, Sense-up, UTC, OSD Menu, Power: 12V DC, Waterproof, Infrared metal, Dimension: 94 x 69(H) mm, Weight: 400g. 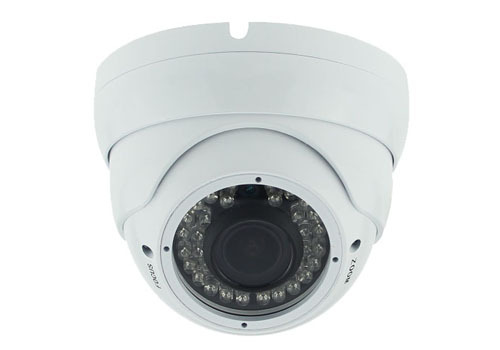 Dome Camera AHD/CVI/TVI/CVBS, 1/ 2.9" 2.4MP Sony CMOS sensor, Boards Lens 3.6mm/F2.0, Image Resolution: 1080P/960H, Effective Pixels: 1920*1080, Progressive Scan, Infrared Distance: 20M, Low Illumination, WDR, IR-CUT, 3DNR, Defog, Sense-up, UTC, OSD Menu, Power: 12V DC, Waterproof, Infrared metal, Dimension: 94.5 x 76(H) mm, Weight: 450g. Dome Camera AHD, 1/4" OV 1.0MP Sony CMOS sensor, Boards Lens 3.6mm/F2, Image Resolution: 720P, Effective Pixels: 1280*720, Progressive Scan, Infrared Distance: 20M, Low Illumination, DNR, IR-CUT, Power: 12V DC, Waterproof, Infrared metal, Dimension: 94 x 69(H) mm, Weight: 400g. 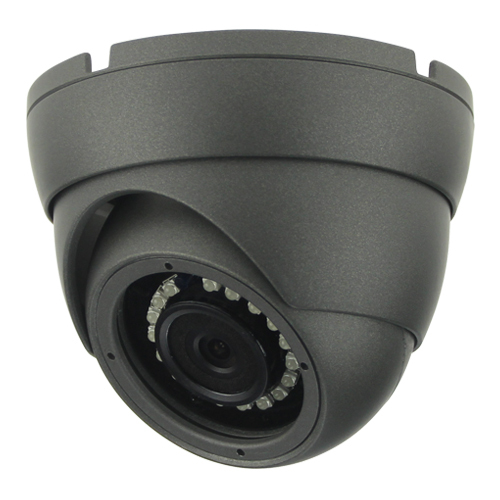 Dome Camera AHD Video Input Mode infrared Metal 0.001 Lux 1/4" OV Sensor 1.0MP/720P, With IR-CUT LENS: Board Lens 3.6mm/F2.0, IP66. 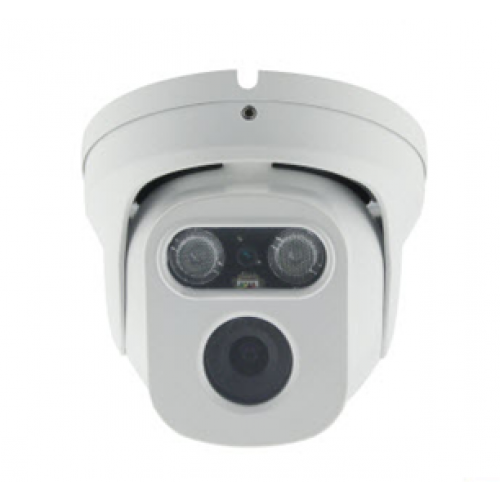 Dome Camera infrared Video Input Mode AHD Metal 0.001 Lux 1/2.9" SONY Sensor 2.4MP/1080P/960H, With IR-CUT DWDR 3D OSD LENS: Board Lens 3.6mm/F2.0, IP66 24 infrared leds, Distance 20 M.
Dome Camera infrared Video Input Mode AHD Metal 0.001 Lux 1/3" SONY Sensor 1.3MP/960P/960H, With IR-CUT DWDR 3D OSD LENS: Board Lens 3.6mm/F2.0, IP66 24 infrared leds, Distance 20 M.
Dome Camera infrared Video Input Mode AHD 1/3" SONY CMOS Sensor 1.3MP/960P/960H, With IR-CUT DWDR 3D OSD LENS: 2.8-12mm Manual, IP66 Zoom Lens 36 infrared leds, Distance 30 M.
Dome Camera infrared Video Input Mode AHD 1/3" SONY CMOS Sensor 2.4MP/1080P/960H, With IR-CUT DWDR 3D OSD LENS: 2.8-12mm Manual, IP66 Zoom Lens 36 infrared leds, Distance 30 M.
Dome Camera infrared ARRAY Metal 0.001 Lux 1/3" SONY CMOS Sensor 1.4MP/960P/960H, With IR-CUT DWDR 3D OSD LENS: 6mm, IP66 Zoom Lens 18.5µ x 2PCS infrared leds 2PC, Distance 20 M.
Dome Camera infrared Metal 0.001 Lux, 1/3" SONY CMOS Sensor 1.4MP/960P/960H, With IR-CUT, DWDR 3D OSD LENS: Board Lens 3.6mm/F2.0, IP66, 24 infrared leds, distance 25 Mts. 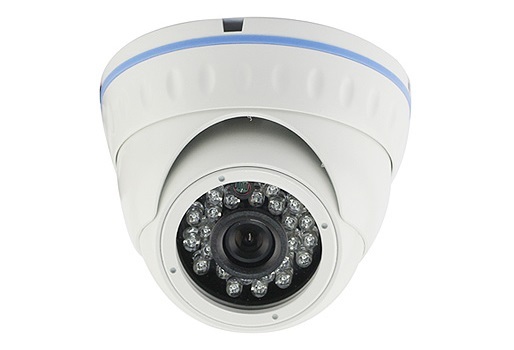 Dome Camera infrared Metal 0.001 Lux, 1/3" SONY CMOS Sensor 1.4MP/960P/960H, With IR-CUT, DWDR 3D OSD LENS: 2.8-12mm Manual, IP66 Zoom Lens, 36 infrared leds, distance 30 Mts. 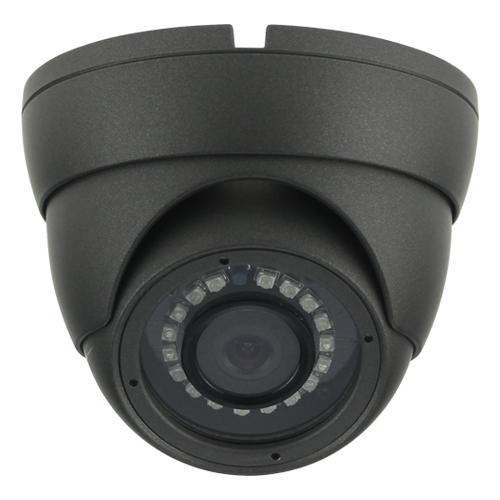 Dome Camera infrared Metal 0.001 Lux, 1/2.7"CMOS Sensor 2.1MP/1080P, With IR-CUT, DNR LENS: Board Lens 3.6mm/F2.0, IP66, 24 infrared leds, distance 25 Mts. 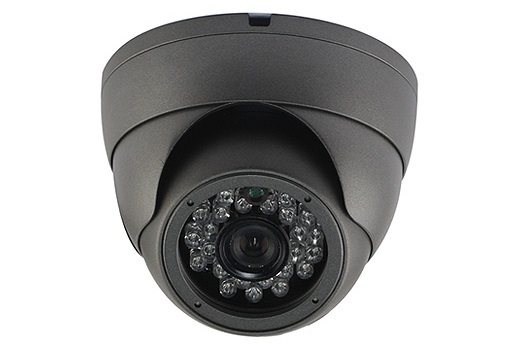 Dome Camera infrared Metal 0.001 Lux, 1/2.7"CMOS Sensor 2.1MP/1080P, With IR-CUT, DNR LENS: 2.8-12mm Manual, IP66 Zoom Lens, 36 infrared leds, distance 30 Mts. 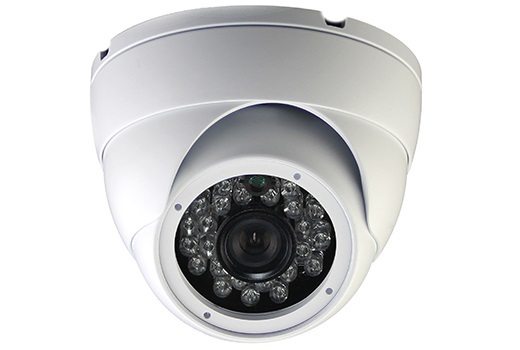 Dome Camera infrared HD – SDI, Metal 0.001 Lux, 1/3" SONY 2.4 Megapixel High - resolution CMOS Sensor, TI DaVinci™ DSP DM368, Main Stream: 1080P@25fps, 720P@25fps, 3 Megapixel HD Lens, with IR-CUT, LENS: 2.8-12mm Manual Zoom Lens. 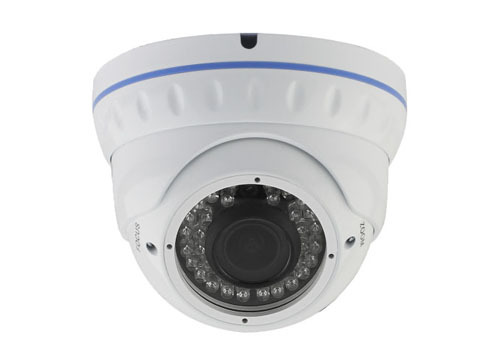 Dome Camera infrared Metal 0.001 Lux, 1/3" SONY 1.3 Megapixel Sensor, 720P, 1200TVL, Low Illumination, IR-CUT, 3D NR, Digital Zoom, LENS : Board Lens 3.6mm/F2.0, IP66, 24 infrared leds, distance 25 Mts. Dome Camera infrared HD – SDI, Metal 0.001 Lux, 1/2.8" SONY,2.1 MP CMOS HD-SDI 1080P@30fps Low-stream, Board Lens: 2.8-12mm Manual, IP66 Zoom Lens, 36 infrared leds, distance 30 Mts. Dome Camera infrared HD – SDI, Metal 0.001 Lux, 1/3" Panasonic 2.1Megapixel CMOS Sensor; HD-SDI(1080P@25fps/30fps); WDR/BLC/HLC/D-ZOOM,DNR,ACCE (Matt White), LENS: Board Lens 3.6mm/F2.0.